1ASM. D. Hossain (e-mail: ahossain@citytech.cuny.edu), M. Ummy, and M. Kouar are with the Department of Electrical and Telecommunication Engineering Technology of New York City College of Technology,City University of New York, 300 Jay Street, Brooklyn, New York 11201, USA. 2A. Hossain is with Department of Electrical Engineering of The City College of New York, City University of New York, 160 Convent Avenue, New York 10031, USA. 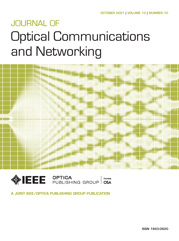 To improve fiber-wireless (FiWi) access network performance, this work proposes a distributed control plane by simply shifting the centralized control task away from the distant central office (optical plane) towards the closely clustered wireless nodes (wireless plane) at the access end. This distributed scheme results in a globally optimized upstream resource allocation scheme, thus paving the way for improved performance.